Below you can view all the highrises for sale in the Eclipse Buckhead subdivision located in Atlanta Georgia. 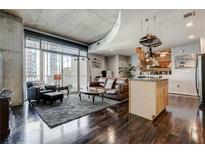 Listings in Eclipse Buckhead are updated daily from data we receive from the Atlanta multiple listing service. To learn more about any of these highrises or to receive custom notifications when a new property is listed for sale in Eclipse Buckhead, give us a call at 404-998-4063. New Carpet In Bedrooms, Hardwoods In Great Room And Fresh Paint Throughout! Motivated Seller. MLS#6535983. A Better Choice Real Estate. High-End Luxury Retail & Destination Dining Are Just A Stroll From Front Door. Unit Includes Storage Space. MLS#6527092. Engel & Volkers Atlanta. 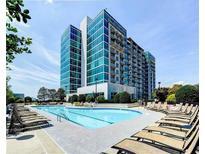 Located In The Heart Of Buckhead. Walk To Restaurants, Shops & Entertainment. MLS#6521920. Palmerhouse Properties. Building Amenities Include 24/7 Concierge, Fitness Center, Pool, Clubhouse, Valet, And Convenience Store! MLS#6521037. Harry Norman Realtors. Shops Of Buckhead Mere Steps Away! MLS#6518806. Keller Williams Rlty-Ptree Rd. You Step Onto South Facing Balcony With Unobstructed Skyline Views, Before Sinking Into The Professionally Designed Interior. MLS#6514284. Beacham And Company Realtors. 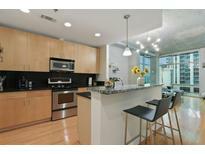 Walking Distance To Restaurants And The New Luxury Buckhead Shopping Area. MLS#6511909. Coldwell Banker Residential Brokerage. Walk Out To Great Shopping And Restaurants! MLS#6509261. Re/Max Around Atlanta Realty. All Steps From High-End Luxury Retail And Destination Dining, Area Walking Score Is 93!Features Include An Open Kitchen W/ Brown Cabinets, Granite Countertops, Modern Backsplash, Modern Fixtures, Accent Lighting, Stainless Steel Appliances And Washer/Dry. MLS#6507847. Century 21 Results. All Just Steps To Buckhead Atl Retail Area With Exclusive High-End Luxury Retail And Destination Dining. Walkable Area Score Of 10 MLS#6504823. Engel & Volkers Atlanta. Newly Remodeled Common Areas Including Amenities Including The Club Room, Fitness Center And Pool Area. MLS#6504900. Berkshire Hathaway Homeservices Georgia Properties. All Just Minutes From The High-End Luxury Shops, Destination Dining, Local Parks/Recreation Centers Of The Prestigious Buckhead Area. MLS#6127102. Redfin Corporation. Private Balcony.Unbeatable Location, Walk To Countless Shops & Dining.Fantastic Amenities:24/7 Concierge & Business Cntr,Valet;Plus Fitness Cntr,Rooftop Pool,Club Room,Outdoor & Indoor Area On 10Th Floor W/ Stunning City View. MLS#6121685. Keller Williams Realty Metro Atl. Next To Premium Shops & Fine Dining. MLS#6119655. Atlanta Fine Homes Sothebys International. All Just Steps From High-End Luxury Retail And Destination Dining. MLS#6061952. Engel & Volkers Atlanta.